IC duration this one module whithout sound, however, if you need the sound we could also do it. 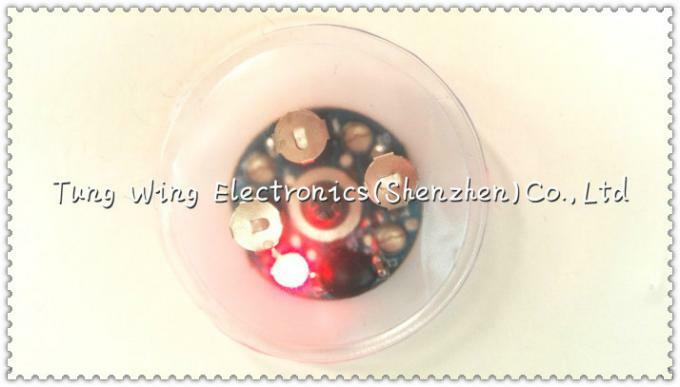 Function This module are special designed for dolls, children clothes, pillows, shoes and so on.When you press the button down,it begans to flashing led lights. 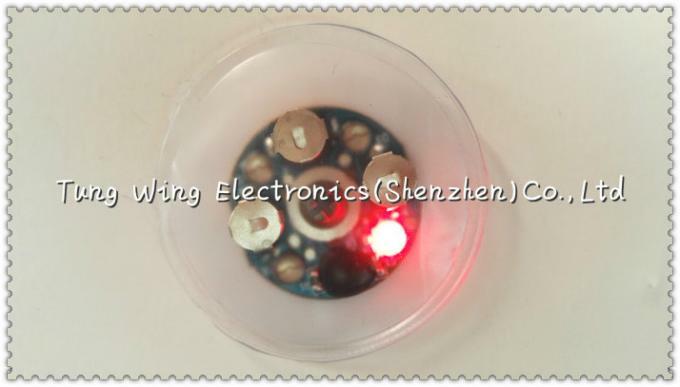 1.Main components:PVC, LED,PCB board,Button Cell,hareware, IC, etc. 4.For the Buzzer only can play the melody sound, so that the customer's sound should be also melody sound. 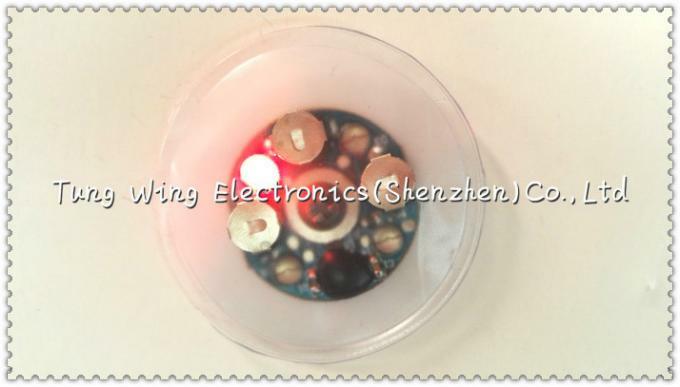 5.The flashing order of each LED can be changed ,this sample if flashing one by one.It can also be changed to according to your requirements. 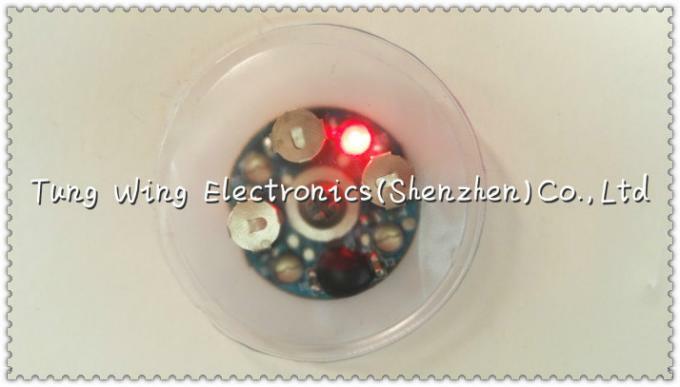 6.Using: Pushing the module , then it starts to flashing the LED lights one by one.And then pushing the module again, the module truned off. 8..All the materials are non-toxic and environmentally-friendly, and can pass CE/ROHS/EMC/EN71-1/2/3.Besides we could provide all the raw materials SGS testing reports. 9.If you have already design information , you can send to us, and we can make some samples for you to check our quality first.